The Snow-covered Alps, a picturesque Old Town, hundreds of art galleries, and an exuberant nightlife are some of the many things to expect from this Swiss city. Famously for its cheese and wine, Zurich is a hub for arts, music, and street parades. This contemporary city offers a vibrant culture, an industrious financial sector, and some of the hippest destinations in Europe. It's easy to fall in love with Zurich and, being one of the cities with the highest quality of life, you might be tempted to move there. Several free walking tours are offered in Zurich for tourists, locals, expats, and backpackers. The Downtown Tour of Zurich, as its name suggests, is a 1.5-hour walk through the metropolitan city centre of Zurich. Tour guides will take you to hidden places within downtown, as well as the main landmarks like Paradeplatz Square, Fraumünster Church, and Lindenhof Historical Site. Discover the economic and scientific centre of Switzerland, and find out why Zurich is the city with the highest quality of life. Zurich is Switzerland’s trendsetter, and the Zurich West Tour takes to you where all the action happens. This daily tour lasts for approximately 1.5 hours. Visit the trendiest places in Zurich and immerse yourself in the modern and vibrant side of the city. See the wild side of Zurich in the Langstrasse Tour. The tour guides will take you to Zurich's red light district and show you around the best places to go for a drink or let loose on the dance floor. See the headquarter of the Swiss Hell Angels and the "Bermuda Triangle" of Zurich. The Historical Tour historical tour will give you an insight into Zurich’s rich history. Learn about war, the revolution, and the reformation. Visit the relevant historical sights and learn the historical importance of each one of them. New in Zurich tour is perfect for beginners. It teaches you the basics of the city including the culture, modern life, and get a chance to chat with expats. The perfect tour for the science enthusiast is the ETH Tour. 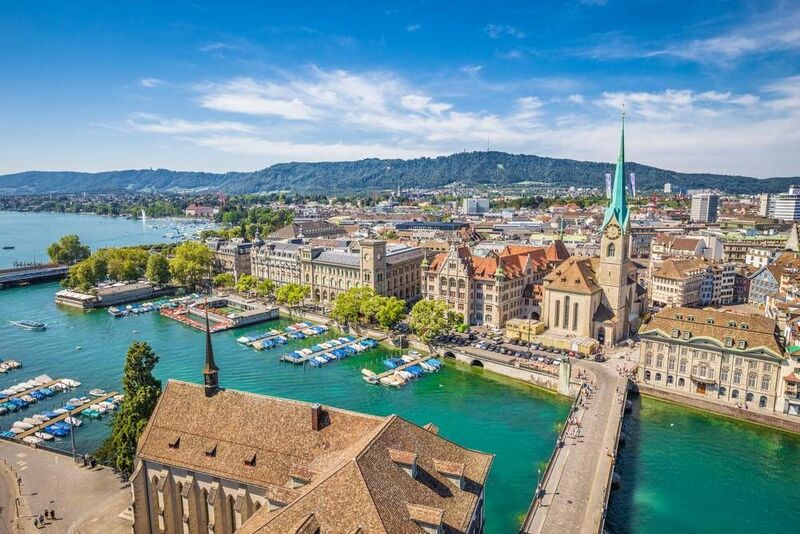 Get a behind the scenes look at Switzerland’s outstanding research, visit the ETH campus, and follow in the footsteps of some of the world best researchers, scientists, and Nobel Prize winners. Below you can find more popular (but not free) activities and tours in Zurich. Are you from Zurich and want to be a tour guide? Please get in touch by submitting your details on this page!